A free monthly learning series on personal and professional development for young women in high school. Powered by phenomenal femlae professionals, we are offerring a free monthly learning series to help young women develop their personal and professional skills such as identifying their strength, building their online brand highlighting their strength, practical interview techniques, mock public speaking, and more. Personal development is the process of achieving and expanding one's full potential. At uCodeGirl, we support the young women's journey to unlocking their potential through enstilling technical skills, leadership traits and entrepreneurial mindset. The first event in this engaging series will be held on July 30 from 4 pm - 6 pm and is called Become a Social Pro! . We will have experts in the field of social media and personal branding share their knowledge and experience to the group. Participants will receive assistance in building an LinkedIn account and resume. Space is limited in this free, informative, and one-of-a-kind event, so reserve your spot today. July Event: Become a Social Pro! How-TO Build Your Online Professional Brand. In this digitally drive market, your professional presence is your business card and your trademark. In this session, you will get support in building a professionally polished linkedIn account that serves as your resume as well as learn how to have a consistent brand across other social media outlets. A team of professionals will review your existing resume and give you insights. We will also help you build one if you have never created a resume before. 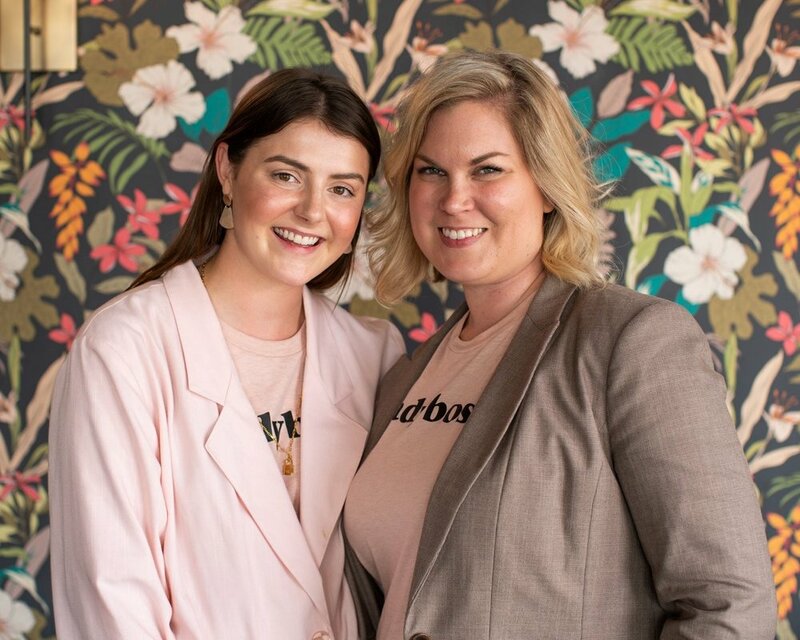 By Danyel Moe and Laura Caroon of LadyBosses of Fargo-Moorhead. Danyel Moe is Co-Founder of Ladyboss and Marketing Content Specialist at Concordia College. Experienced Marketing Content Specialist with a demonstrated history of working in an agency setting aswell as the higher education industry. Skilled in social media, market research, content marketing, and adplacement. Graduated from Concordia College with a BA in Marketing and Art. Laura Caroon is Co-Creator of Ladyboss FM and Content Strategist at Concordia College. With a background as a small business owner, entrepreneur, and marketer, creative strategy is myspecialty. Brainstorming sessions are my jam. I thrive on trying out new ways to connect to our audience – through social media, creative outreach and sometimes crazy ideas. Register for July Event. Here. July 30, 4-6 pm. Become a Social Pro. Space is limited. Registration closes when maximum participants is reached or on July 17. Thank you registering! We will follow up with an email.